We are excited to inform you about a transition that will enhance how you search for jobs and events that match your career interests. Welcome to Hire a Red Hawk, your new career services management system! 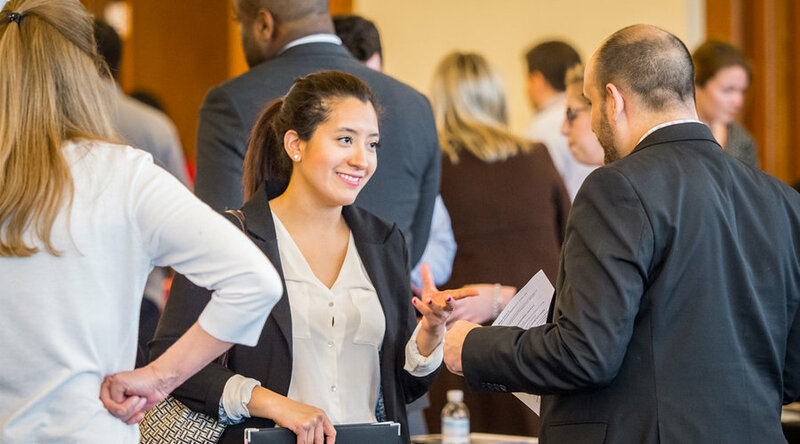 Network with recruiters and hiring managers to learn about career opportunities, company culture, campus visits, and much more! Start by visiting the Hire a Red Hawk Employer sign in page. Be sure to bookmark this page for easy access in the future! Click the "Sign Up" button for first-time login. Or, use your username (email) and password to log into an existing account. Once your account has been approved, you (or the contact person listed) will receive an email that includes your username and a link to create your password. This link will expire in 24 hours. If more than 24 hours have passed, please click on “forgot my password” and you will be emailed a new link. To sign up for Hire a Red Hawk, you must sign in to MONTCLAIRconnect! Having trouble signing in to Hire a Red Hawk?